Horizontal series with front base. Some sizes of this series are also produced in stainless steel and are shown below in red. 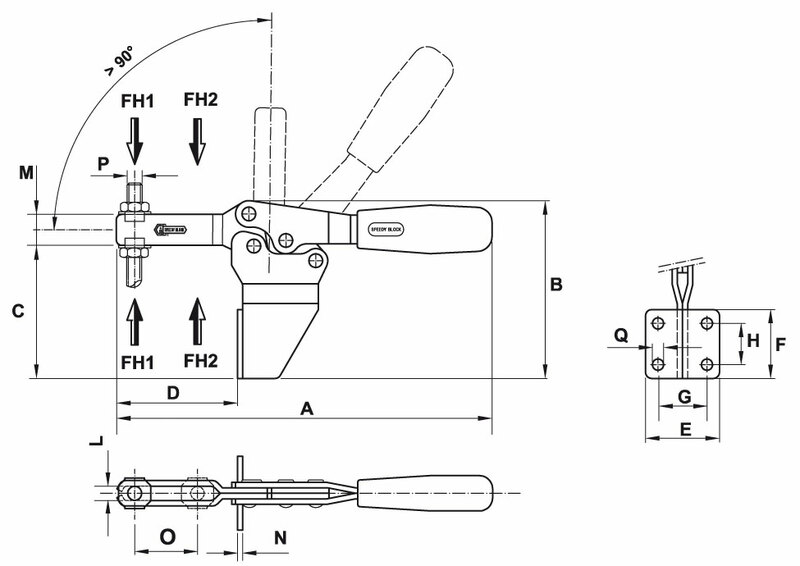 Performance: Form MF and form MFX with open clamping lever and two flanged washers. 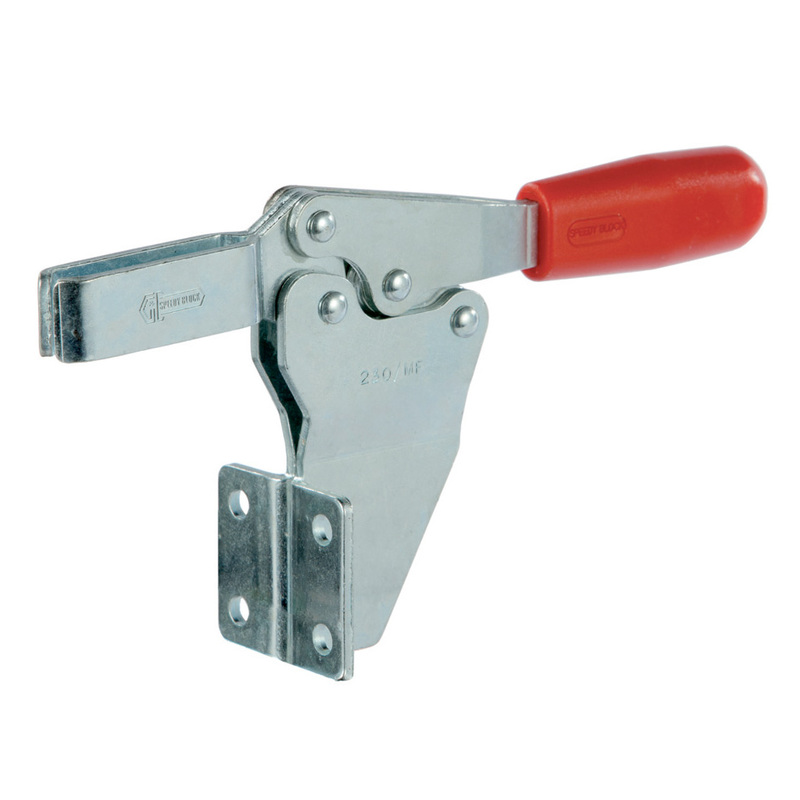 Features and applications: The main feature of this series is the front mount; these tools are designed to prevent the operator's fingers from being crushed by the levers when opening. During the closing, the clamping lever is guided laterally to ensure greater stability against possible transverse stresses. A special grease is placed between two contacting surfaces during assembly.